Amigos Mexican Grill is a family owned restaurant, situated close to the Lake Wanaka and the town centre. 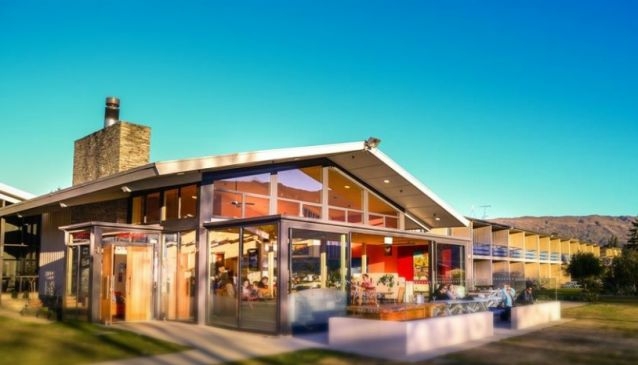 Serving hot, fresh and spicy mexican food, Amigos interior takes advantage of its gorgeous lake setting with large floor to ceiling windows that take in the stunning mountain and lake views of Wanaka. The large open fire is expecially welcoming during the colder months of the skiing season. The menu includes mexican favourites, with open faced taco dishes, nachos, enchiladas, burritos, quesadilla, chilli colorado, and a range of fajita dishes available. A selection of New Zealand wines and beers are available plus tequila and those all important cocktails! The restaurant caters well for children, with games, puzzles, their own menu and a large garden area to run around.